Fantastic addition to our Sole line with exposed gold foil and a bright mixture of shades of Topaz. Just hold these in the light and see how the interior color pops. 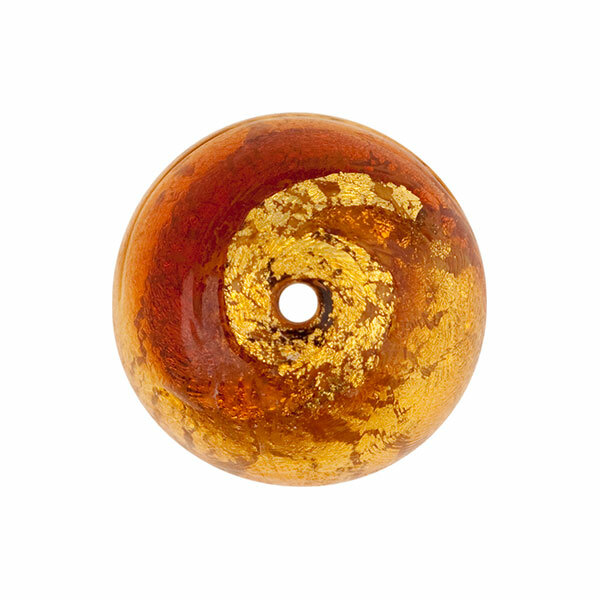 Size these beautiful rounds is about 18mm These are really beautiful Venetian Glass Beads. 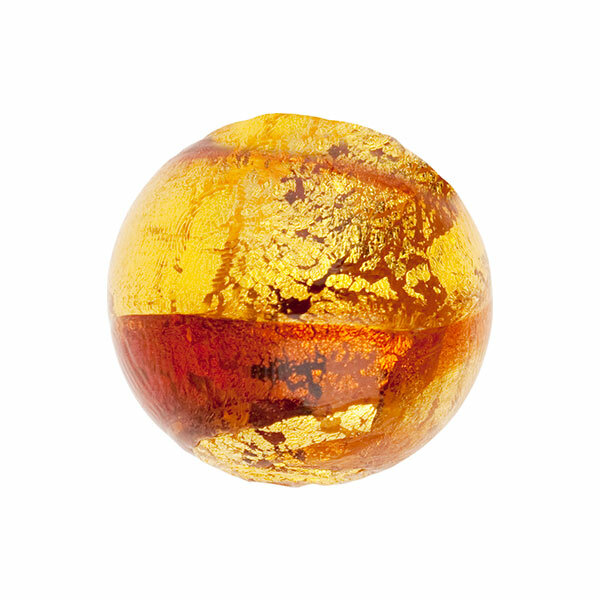 They will make a great Murano Glass focal piece.